While funds that gave life to the Health Reform –and avoided the collapse last year- will last five more months, the Health Department is betting on a federal government lifeline for one of the island´s most important programs with 1.2 million participants. The state government´s hope focuses on one of three alternatives: approval of a federal allocation for five years, a year´s extension of funds received through the 2018 Bipartisan Budget Act (BBA) or an increase in matching funds. Meanwhile, the Health Insurance Administration (PRHIA) is negotiating an adjustment in poverty level – at the federal level –to retain more people in the Government Health Plan (PSG, Spanish acronym) or to qualify for the Reform, as El Nuevo Día already reported. At a roundtable with El Nuevo Día Editorial Board, the Health Secretary also assured that the local government has already started implementing the Medicaid Management Information System (MMIS) and the Medicaid Fraud Control Units (MFCU), two programs required by the federal government that he hopes will help to straighten the island´s health care system. Rodríguez Mercado estimates that the MMIS will be fully implemented by June next year, which he said will bring more accuracy to Medicaid and a lower margin of error.he also noted that the automation of the system will facilitate direct contracting and is expected to help achieve "fair payment" to providers, by detailing the realities of the system. Since authorities are concerned because the number of beneficiaries in the Reform is lower than projected, they are doing an analysis on the allowable income level and raise the indigence level in order to ask the federal government (Centers for Medicare and Medicaid Services (CMS) to raise the parity level relative to that increase and retain more participants in the PSG. They expect to have that analysis completed in May. As an example, Rodríguez Mercado mentioned that the federal poverty level for a person to be eligible for the Health Reform could increase to a maximum annual income of $ 15,000 or $ 20,000. However, he stressed that they are still studying how much this limit must increase to retain and allow more people into the PSG. According to the Health Secretary, in addition to migration, there are people who are generating more income or receiving more money from Social Security, among other factors that make them ineligible for the Medicaid program. He said that the poverty level (under federal parameters) in Puerto Rico is $ 10,260 (annually), while in Mississippi, the poorest U.S. state, it is $ 33,600. 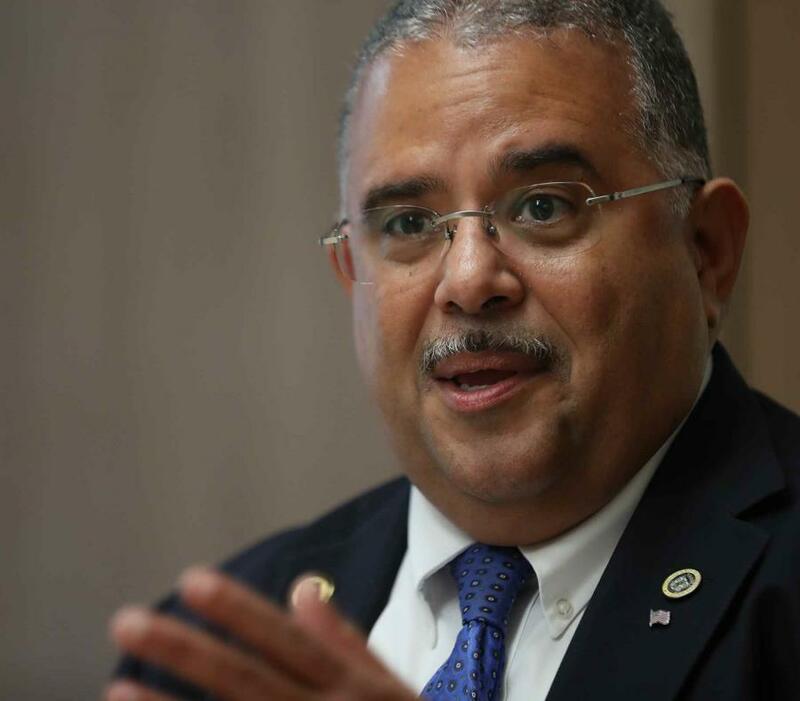 With some 400,000 people without health insurance on the island, Rodríguez Mercado recalled that a few years ago Puerto Rico decided not to participate in Obamacare´s "Health Insurance Exchange", a system that allowed people to buy basic health coverage according to their income. He warned that this population without medical coverage ends up seeking services in the Primary Healthcare Centers (330 Centers), in emergency rooms or in the Medical Center, which affects the economic stability of these facilities. He said that another option under consideration is to create affordable medical coverage with "very low" co-payments. They also seek to identify people who qualify for the Reform but do not request it because they do not know about this kind of program. "The more people in the Reform, the more funds they give us," said the Secretary, who acknowledged that, since 2014, there has been a decline in the number of participants. According to data from PRHIA, over the last five years, the Government Health Plan has lost about 200,000 participants. Rodríguez Mercado said that they are also working on a review of the state Medicaid Plan, which describes the nature and scope of this program. “We created the Medicaid Advisory Board, presided by Dr. Víctor Ramos, to see how we can adjust it to the reality of Puerto Rico,” he said. The federal government allocated $ 4,8 billion l to the Health Reform last year, which represented a relief for the local government since it was a 100 percent funding for the PSG, instead of the traditional 45 percent in state funds and 55 percent in federal funds. This came after Congress passed a $ 15 billion disaster relief bill which included $ 4,8 billion in Medicaid funds that will run out on September 30. If Puerto Rico doesn´t receive funds or a federal allocation for PSG in October, the local government will have to finance the program. Although the Puerto Rican government estimates that the $ 4,8 billion allocated to Medicaid will be gone by September, there would be another $ 1,126 billion in other items that still would not be enough to cover federal fiscal year 2020. According to projections, by June next year, the healthcare system will have a $1.2 billion annual deficiency. The Health Secretary said that they are evaluating the environment in Washington D.C. to see what they can ask in Congress, in referring to lobbying efforts to avoid Medicaid fiscal cliff. Meanwhile, staff from the Center for Disease Control and Prevention (CDC) are working at the Health Department, identifying programs and other initiatives that will help the agency raise more federal funds. “The CDC is running the Office of Health Affairs,” said Rodríguez Mercado. He stressed that the agency is completing overdue audits, among other things. This work, he said, goes hand in hand with the Comptroller´s Office, which, since 2014 has identified about $ 200 million in the audit process. In addition, with a $ 42 million federal grant, the Health Department aims to strengthen prevention programs as well as support clinical trials and maximize advertising efforts for the next two years. According to the Secretary, with these funds, he hopes to finance the Alzheimer's Registry in Puerto Rico and develop a Diabetes registry, which was to be created eight years ago after the approval of a law establishing that. On the other hand, the local government is in discussions with CMS to have Puerto Rico included in the "Value-based contracting for prescription drugs" for specific drugs for HIV and Hepatitis C patients. The goal, he said, is to bring this program to Puerto Rico as a pilot in a territory, since this initiative has been implemented in several states. He added that they are also working to use part of the funds they received from the Federal Emergency Management Agency (FEMA) after Hurricane María in health education initiatives. Meanwhile, the Secretary assured that the fact that no influenza epidemic has been reported in Puerto Rico has generated savings for the system. According to the Weekly Influenza Surveillance Report, as of March 30, there have 1,080 cases of influenza reported during the 2018-2019 season, with three deaths.